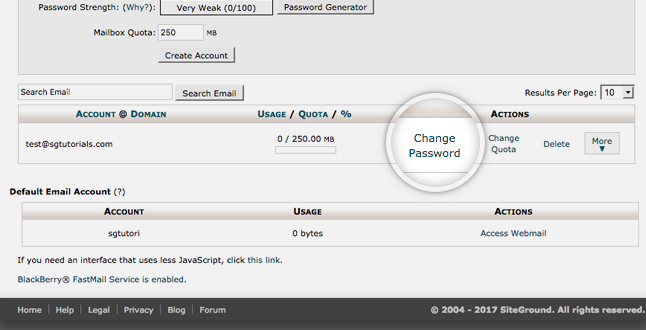 To change your email password you must first log in your cPanel. You will be able to make this update even if you do not remember your current email password. Once in cPanel, go to the Email Accounts tool and select the Change Password button next to the entry for the desired email account. A new panel will be opened. Fill in the new password and click on the Change Password button to save it. That’s it! The password for the email account has been changed and you can use the new one to log in.